The book is actually titled after thoughts uttered by Sherlock Holmes himself, describing Moriarty as being “the Napoleon of crime”, and as we come to learn it throughout the pages, such a title is far from being undeserved. So who exactly was this Adam Worth? Before reading this book, I admit that I had absolutely zero idea about his existence. I’ve learned that, amongst other things, he is remembered as someone who seemingly came straight out of a novel; he was intelligent, well-spoken, quick on his feet, suave, cunning, and maintained an aura of fear and respect, allowing him to turn the Victorian society into his own playground. He planned and executed countless magnificent heists, including that of the grand portrait of the Duchess of Devonshire by Gainsborough, arguably his most famous “work”. If, like me, you are passionate about larger-than-life crime stories about people who actually existed, then this book would still be a gold mine of knowledge and entertainment if all it did was enumerate facts. Thankfully though, Macintyre went above and beyond that, taking care to craft an actual story that takes you not only next to Adam Worth, but at times, inside of his mind. For the most part, it actually reads like a fictional tale about a superhuman master thief who could brave anything thrown his way. You actually need to remind yourself from time to time that you are reading true story so as not to lose yourself in what would be described as pure fantasy, if not for that reminder. 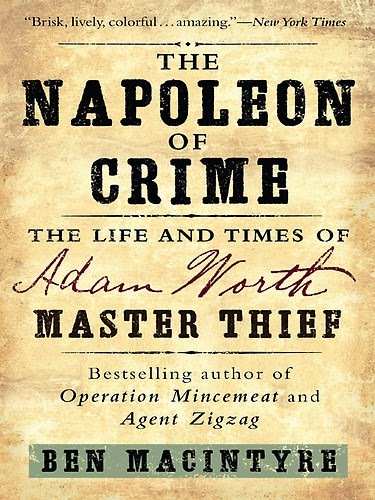 All in all, what The Napoleon of Crime brings to us is the exciting story of the real-life Moriarty (yes, Sherlock’s nemesis was indeed based on Adam Worth), a criminal like few others before or after him, shaking up an entire society and even becoming revered to the point where we still discuss him centuries later. 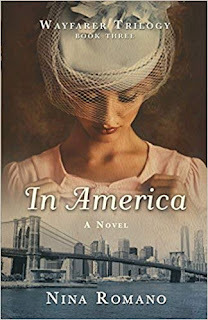 I can easily recommend it to those interested in real criminals and master thieves during the Victoria society. 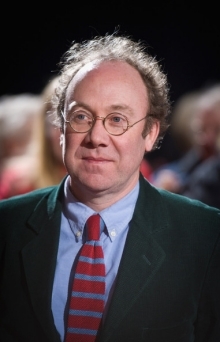 Ben Macintyre is a British author, columnist and historian who is currently also a writer for The Times newspaper. He touches on all topics from current affairs in the world of politics to controversies in our history, and he is the author of numerous novels, including The Napoleon of Crime and The Man Who Would be King.